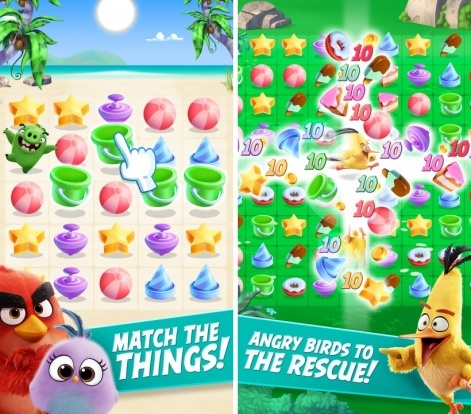 This time, we caught up with the head of studio at Rovio's puzzle branch, Heini Kaihu. 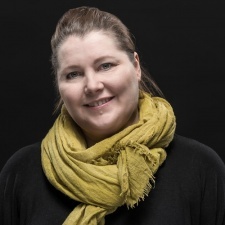 Heini Kaihu: I’m working as head of studio, leading one of Rovio’s three games studios, focusing on puzzle games. My day-to-day work is a great combination of trying to understand what the future holds for us and painting that vision to new ideas and projects while also being very focused in the present, helping the teams to develop and operate live games. But I have to say the most enjoyable part is creating and maintaining an environment where creative and talented people talk and learn from each other and keep on delivering world-class game experiences. My path into the games industry initially started in mobile entertainment at the turn of the century. I was working for a large telecom operator focusing on mobile entertainment services. The bulk of the content output focused on products like ringtones, operator logos, news and horoscopes, but we also had the first mobile games that you could order for your phone. 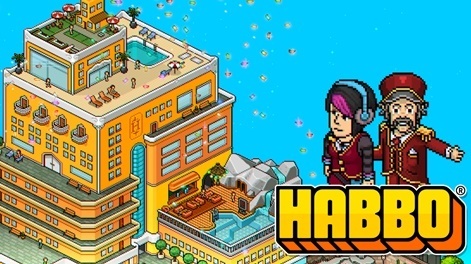 Following my role in mobile entertainment, I then switched to work with an online game/community called Habbo Hotel. It allowed users to create their own Habbo avatar and design rooms, meet new friends, chat with other players, organise parties, look after virtual pets, create and play games and complete quests, being a fun and intriguing hybrid of a multiplayer online world and a game. The notable thing is that it had a very sophisticated in-game economy with player-to-player trading, where I learned the ropes of free-to-play. Habbo Hotel had a very sophisticated in-game economy with player-to-player trading, where I learned the ropes of free-to-play. My eight-year tenure at Habbo Hotel (which saw me growing from producer to EVP of product) led the way to Rovio, to help with the transition of the games business model from premium to free-to-play. I worked in a central team for a while helping the studios to dive into the free-to-play world. Fairly soon, I was offered the possibility to lead a studio, and here I am. In five years the studio has grown to include over 60 people, with four live games and a few in the making. Yes and no. I’m not one of those who knew from an early age their passion was to create games. Things that have always been close to my heart are the direct consumer focus (as opposed to B2B) and product development with a creative angle. The fact that making games is a perfect way to combine those was a great surprise. Thinking back, my formal education (Master of Arts) didn’t directly qualify me for the job, but it was a nice combination of different areas that definitely helped me to get started and then it was a lot of “learn as you go” mentality and process. The world is changing so rapidly that you need to constantly update your skillset on different areas. The role of head of studio is so versatile and varied; there isn’t really a single set profile that suits best. I would advise covering these pillars: product and business and people and processes, even if you clearly excel in one. Games have become mainstream entertainment and the more diverse a group of people we have in the industry creating the experiences, the better. While I enjoy a lot a of things, I must say nothing beats the feeling of releasing a game. It is the moment where all the hard work pays off and the team and the whole company comes together to join in the excitement. With free-to-play, that of course only marks a start of a new journey of live operations which is just as intense if not even more, but at least for a few hours you get to celebrate a great achievement. I think the one misconception I encounter fairly often, is the idea that you can only succeed if you were into games before you knew how to walk and talk. While passion for games and deep understanding of the industry is a big part of the job, it is not impossible to succeed with a different path to the industry. Games have become mainstream entertainment and the more diverse a group of people we have in the industry creating the experiences, the better. There’s only one constant thing in the games industry, and that is change. You need to learn to love the change and see it as an opportunity, and you need to coach your team to do the same.